The creation of a new mega-company in the global resources sector is one step closer after Chinese regulators indicated they would not oppose a merger between commodities giants Glencore (LSE:GLEN) and Xstrata (LSE:XTA). Although formal sanction is not expected for another few weeks, statements by officials would imply that the merger is set to soon obtain the final piece of regulatory approval necessary for its successful completion. South African regulators gave the green light to the $33 billion merger on Tuesday, conditional on the company limiting any adverse impact on the country's employment. 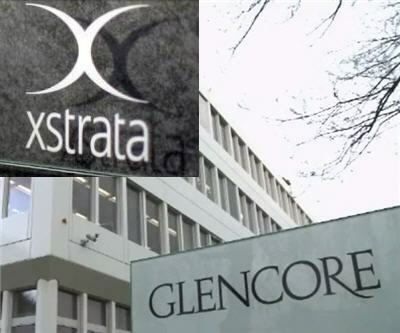 The proposed merger of Swiss-based commodities giants Glencore and Xstrata has become a highly protracted saga fraught with repeated setbacks and delays. Glencore first agreed to buy Xstrata in February of 2012 for USD$62 billion in shares, yet shareholder opposition, from Qatari government stakeholders in particular, thwarted the deal by mid-year. If successful, the merger will see the creation of a new force in the global mining industry on par with BHP Billiton (ASX:BHP) and Rio Tinto (ASX:RIO).